MK Dons will be hoping home form can help them out of their current rut when they take on Swindon Town on Saturday. After picking up just a point from their last six away games in League 2, and crashing out of the FA Cup away at Grimsby, Dons have to look back to November 3 for their last win on the road. Last Saturday's 3-1 defeat to Exeter City was the worst of the lot according to manager Paul Tisdale, who blasted his side for their naivety at St James Park. 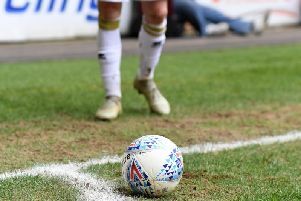 With Swindon heading to Stadium MK in good form away from the County Ground, Tisdale has said his own side's away form is a cause for concern but he does not expect to see a repeat of the performance at Exeter. "This Saturday will be a completely different game," he said. "We've already seen, playing home and away this year has been very different, especially in the winter – it has become something we need to address. But whatever we did last Saturday, it will be different this Saturday. It won't be the same game - the variables are always different. "The players have to learn, make decisions and find solutions on the pitch themselves. You need the players to sense the moment and deliver what is necessary – on Saturday we did not do that. "I think we're the anomaly. You can slip into a false sense of understanding of what we have to do because of our stadium, but we've seen going Cheltenham, Stevenage, Grimsby, Exeter, that is the norm. We have to win those games also, and we haven't done. I'm trying to move forward, but you have to adapt for the moment. I was cross on Saturday because the warning was there. "Despite our away form, I go into away games expecting, hoping, planning and plotting for a win, and they will be very different games. One at at time, we're not rushing into games against Newport and Carlisle." Swindon head to MK1 sitting 13th in the table, but have to look back to 2009 for their only win at Stadium MK - a 4-1 victory in the League Cup, while their last victory against Dons came in August 2012 at the County Ground. Dons poor run has seen them fall from second to sixth in the table, now four points outside the automatic promotion spots. Defender Jordan Moore-Taylor looks set to miss out again through injury, while George Williams is set for a long stint on the sidelines. Earlier this season, Dons conceded a stoppage time equaliser from Elijah Adebayo at the County Ground as the sides shared a 1-1 draw. "Swindon are a on a good run," Tisdale continued. "They're a good side and are used to playing on a good surface. "Everyone wants to win, it's about having a set of drills and directions that take you there. We are positive in our mindset, we're still in a position where we can affect our league position in a good way with the right results. There is still a third of the season to go, lots to play for."